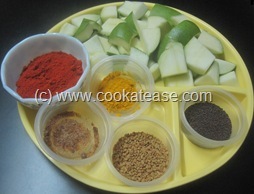 Here is a spicy raw mango pickle with fenugreek seasoning. This pickle is very simple and can be prepared in short time but can be kept for few days only. 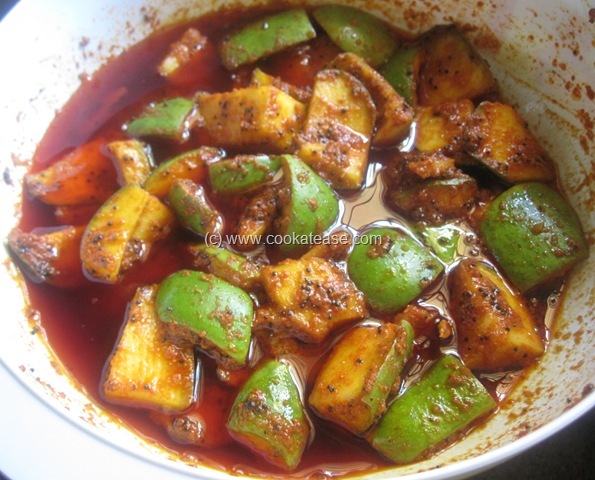 This pickle tastes nice with curd rice. 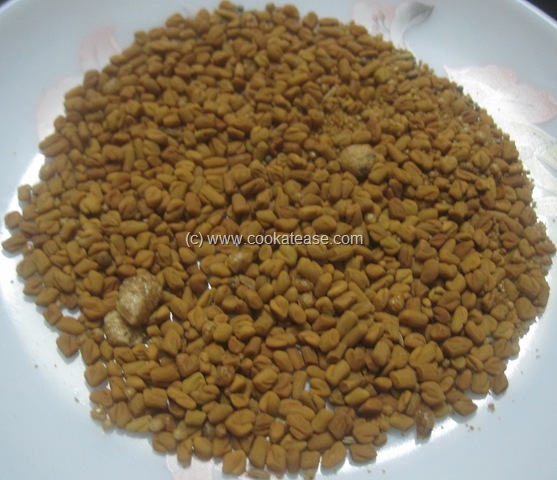 Fenugreek seed is known as Vendhayam in Tamil and raw mango is known as Mangai in Tamil. 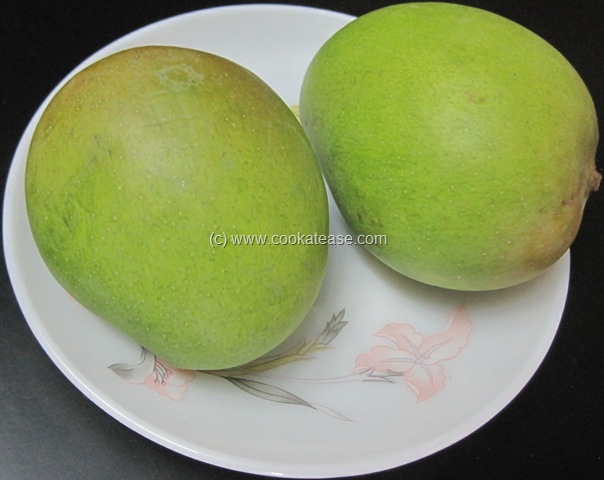 Wash,wipe mango well and cut into pieces. Dry roast fenugreek seed, asafetida and powder it. In a dry bowl, add cut mango, red chilli powder, turmeric powder, salt, powdered fenugreek-asafetida and mix well. 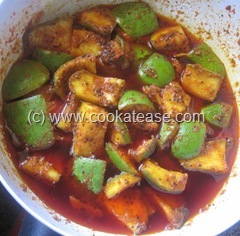 Heat oil in a pan, add mustard; when it splutters well, remove, pour that over the spice-mixed mango pieces and mix well; after 24 hours, you will find the juice from mango mixing with spices to make it delicious. Now Vendhaya Mangai (Raw Mango Pickle with Fenugreek Seasoning) is ready for use. Daily toss it twice and from third day either keep in sunlight for some time daily or keep in fridge and use. 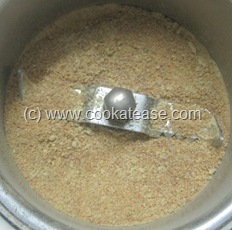 By keeping in sunlight this can be kept for a week. 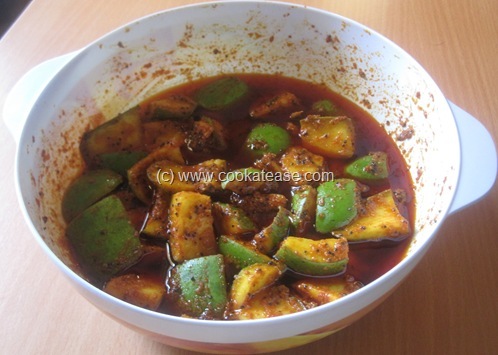 Care should be taken that there should not be any moisture in mango or in the utensils used for this pickle. 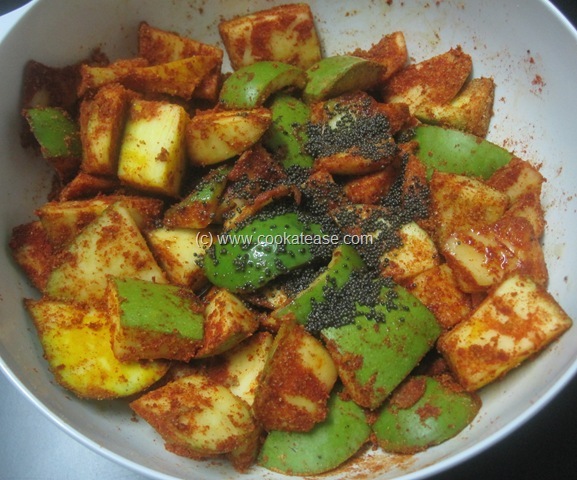 Am ready to have some mango chunks with my curd rice…tempting..
Kamala, I am drooling here. Very nice. 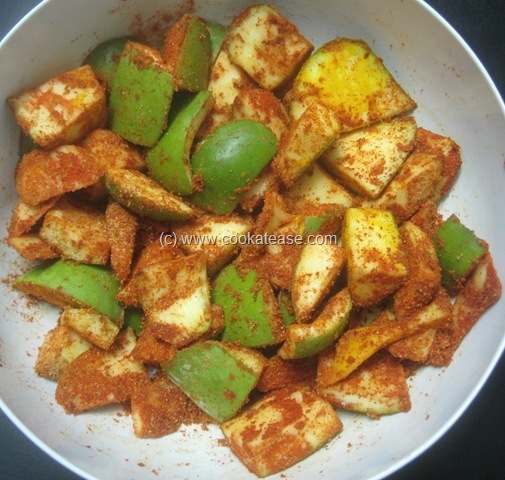 I love the raw mangoes in ur pic. I wish I could get something like that. I did some a week back too!! yours looks super hot and delicious!!! Vendhaya mangai pickle looks really awesome. 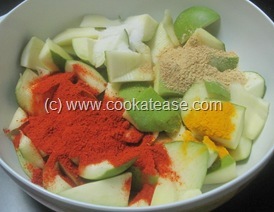 amma used to make like this. 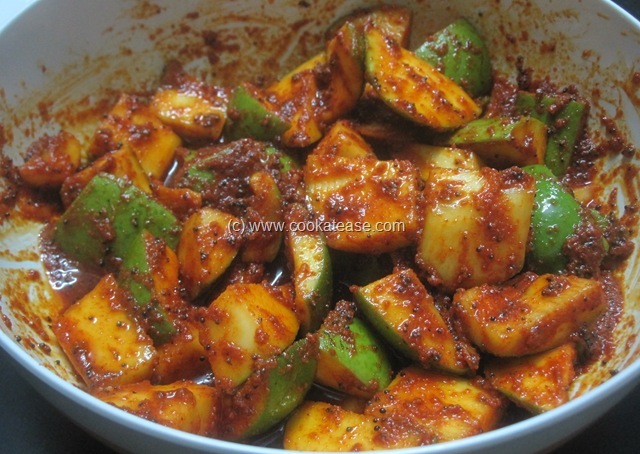 My lunch never complete without mango pickle.